You are here: Home / Mailbag / Mailbag: Personal Experience with Miscarriage? Mailbag: Personal Experience with Miscarriage? I have enjoyed following your blog for some time, and I also read your book Love Your Husband which was terrific. I searched through your site looking for help/advice on recovering from a miscarriage. Do you have any experience with this? This was my 8th pregnancy and first loss (at 8 weeks). Is it medically necessary to postpone another pregnancy for a month, 4 months or longer? Just wondering your thoughts on this circumstance. Thank you! I am so sorry for your loss and am praying God’s deepest comfort for you during your time of grief. In answer to your question, yes, I’ve had some experience with miscarriage. I miscarried my eighth child, too — a little boy named Joshua Adam, whom we lost at 17 weeks. That was such a sad time for all of us. A wonderful OB attended me at the hospital (I lost a lot of blood and had to be admitted overnight. I also had to take extra iron supplements for several months following the miscarriage). He was so comforting and empathetic. On the one hand, he recognized the loss and didn’t assume it was any less profound just because we already had seven other children at home (though, I must admit, those children were a healing balm to my soul. 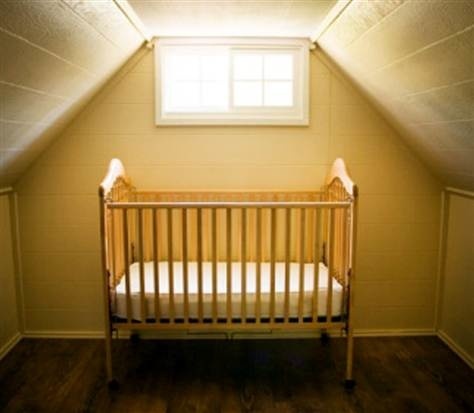 I often wonder how women who miscarry their first baby handle the empty nursery that waits for them back at home! At least I had other little ones to hug and cuddle and enjoy, even as I grieved over the one I’d never get to nurse or rock to sleep or watch grow up). On the other hand, the doctor was very hopeful and encouraging. He told us not to let the miscarriage scare us out of trying again. If we wanted more children, he said he saw no reason that we shouldn’t have more. We asked him if it were necessary to wait a number of weeks or months before conceiving again, and he told us we could try again as soon as we felt like it. (That may not be true for everybody, as other ladies may have complicating health factors, but I was otherwise strong and accustomed to very easy pregnancies and smooth, complication-free deliveries). We got pregnant again the very next month with our precious daughter, Rachel Joy. The Bible promises, “Weeping may last through the night, but a shout of Joy comes in the morning.” (Psalm 30:5) It certainly did for us! The doctor did warn my husband that as I aged, the miscarriages might become more frequent. I ended up having another after my twelfth child was born — that one at about 6 weeks. I was 45 at the time. If it weren’t for early detection pregnancy tests, I might have just assumed my period was a couple weeks late. To my knowledge, I have had no miscarriages since (but I’ve also had no babies, although we would be delighted for God to send us more!) The five pregnancies in between my miscarriages were all full term and produced beautiful, healthy children that we could not imagine living without. Interestingly, my last two pregnancies (at age 42 and 44) were my easiest, most energetic pregnancies and quickest, smoothest labors and deliveries to date! I hope that testimony will serve to encourage you and give you hope. So many women deal with miscarriages, I probably will try to write a more in-depth post about it in the near future. I can’t believe I never thought to address that topic before. « Hosanna in the Highest!